In this kinder, gentler MLB, we’re facing what has become a string of uncomfortable conversations about basepath etiquette, delineating not only what is legal, but what is right. It started in April, when a wide slide into second by New York’s Tyler Austin took out Red Sox shortstop Brock Holt and, after a retaliatory strike, led to a full-fledged brawl on the Fenway Park infield. Monday’s slide into the plate by Anthony Rizzo was quieter than that, if only because the Pirates chose not to retaliate. Rizzo had come home on a bases-loaded grounder to shortstop, and took out the right ankle of Elias Diaz, despite the catcher having already made the putout and cleared the box as he prepared to fire the ball to first base to complete the double play. The ensuing throw went wild, allowing Javier Baez and Kyle Schwarber to score on the error. Diaz remained on the ground for a while, clutching at his leg, but did not leave the game. On the one hand, this is classic baseball. Double-plays are meant to be broken up, and Rizzo did nothing untoward in terms of raising his spikes or barreling into the catcher. His slide kept him within easy reach of the plate and was textbook clean. It unfolded exactly as intended, impacting Diaz enough to disrupt the throw. What we’re left with is the gray area between rules and interpretation of those rules. Catcher safety came to the forefront with Scott Cousins’ collision with Buster Posey back in 2011, and has only grown more pronounced since then. Why does it keep happening? There is no way to deny that the catcher cleared out. It’s right there on video. Even Rizzo did not dispute that Diaz ceded the entire baseline. It’s part of a manager’s job to take heat for his players, and maybe that was Maddon’s endgame, but his comment makes no sense. Also, it was only his opening salvo. Later, the manager tried to shift the conversation from player safety to Rizzo’s reputation. It’s only because the catcher fell down is among the most ludicrous pieces of baseball analysis ever presented in earnest by an informed source. Diaz fell down because Rizzo went out of his way to take him down. Feel free to debate the merits of Rizzo’s slide, but don’t blame it on Diaz. Maddon’s comments might be more easily taken as defense of his player had the slide been a lone blip on Rizzo’s radar. Instead, it seems to be a pattern. Last year, he took out San Diego catcher Austin Hedges in similar fashion (while trying to score, not to break up a double play), and encountered similar sentiments about dirty play from the viewing public—but not from his team’s management. Maddon went on record, repeatedly, defending the slide. Which cuts to the heart of the issue. Rizzo’s takeout of Diaz was called dirty by people all the way up to the league office, yet he earned support for it from both Maddon and Cubs GM Theo Epstein. Unless the league steps in with penalties (unlikely) or the Pirates step up with retaliation (also unlikely, despite calls for it from the local press), why on earth would Rizzo change this facet of the game, especially when he’s lauded for it inside his clubhouse? Maddon went so far as to call baseball’s catcher-safety rule “nebulous with regards to interpretation,” but there’s nothing nebulous about Rizzo drifting from his baseline to take out Diaz. Any team that encourages its players in that direction is treading a dangerously ignorant line. 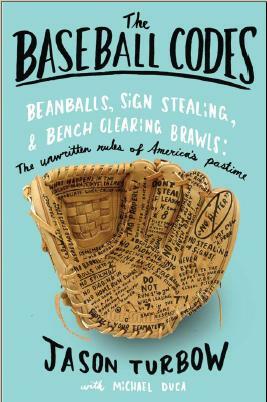 Adherents to baseball’s unwritten rules are frequently labeled as out of touch with modern culture. This, though, is an instance of an old-school acolyte going out of his way to be anachronistic. Joe Maddon really ought to know better.